Advanced characterization nanotechnology platform was organized under the "Nanotechnology Platform" program of Ministry of Education, Culture, Sports, Science and Technology to support the research about microstructural characterization for advanced functional materials relating to nanotechnology by sharing the advanced characterization equipment so that it enhances the material development research, international technological competitiveness and development of human resources in Japan. 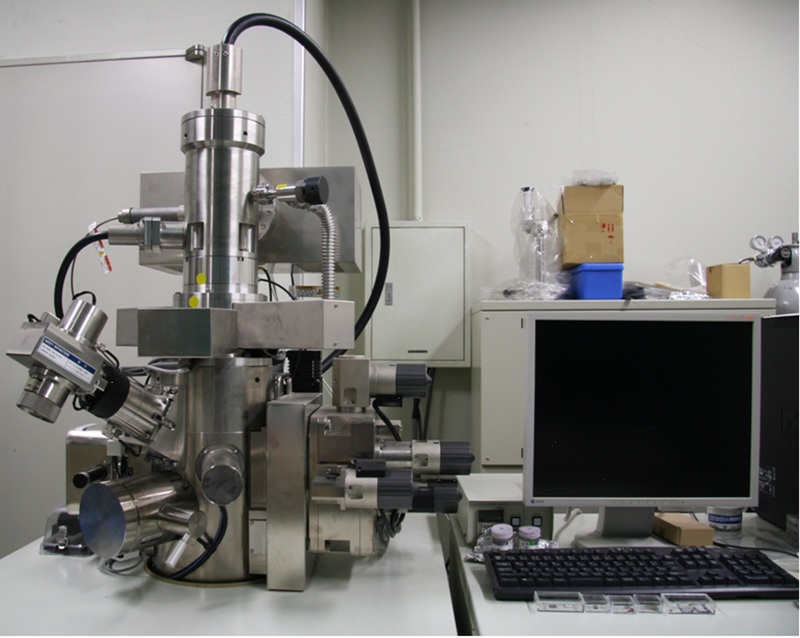 "Kyoto University Microstructural Characterization Platform" supports the microstructural characterization and elemental analysis of organic and inorganic functional nanomaterials by using advanced transmission electron microscopes (TEM). 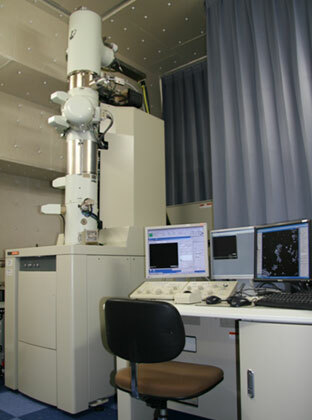 Cryo-TEM, Cs-corrected TEM and STEM at the Institute for Chemical Research of Kyoto University are registered equipment to carry out the characteristic supports. 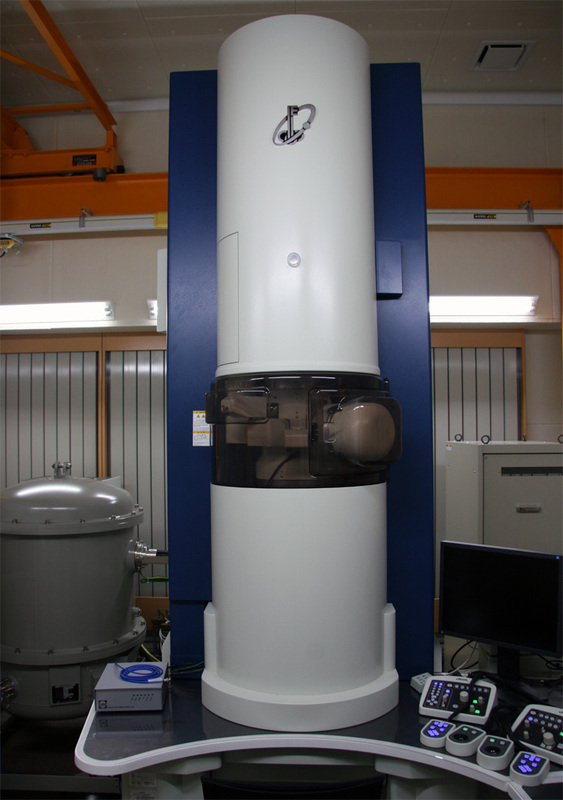 This cryo-TEM has a sample stage cooled by liquid helium in the column so that samples are held at 4.2 K during observation and the damage by electron irradiation can be reduced. 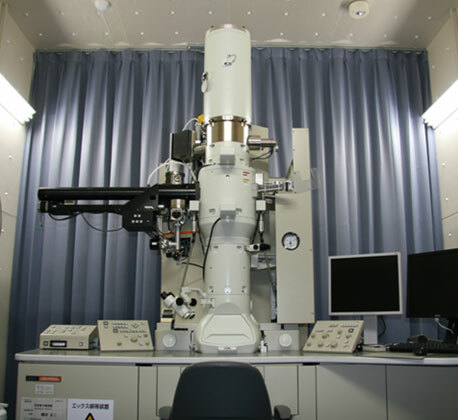 Therefore, this TEM is effective for the observation of radiation sensitive organic materials. Another usage is for the observation of objects in liquid like vesicles composed of surfactants in water. Fixing water as vitrified ice by quick quenching, you can observe the object as if being in water. By using aberration corrector for the objective lens, this TEM can use high resolution observation at atomic level. And it equips in-column type omega filter so that it can be used to obtain EELS spectrum and elemental mapping. It can be used for elemental mapping by EDX with atomic level resolution and EELS spectrum measurement with high energy resolution. We support sample preparation by using FIB, Precision ion polishing system and Dimple grinder system. Contact to the below address for the use at first.